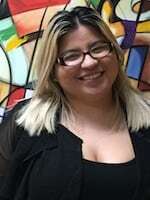 Ms. Chloe Muller is our firm’s bilingual (English-Spanish) client support specialist. She has extensive experience in the area of client support. Ms. Muller is fully aware of clients’ needs and concerns taking special time and care to address every call, question, and email. Her primary goal is to ensure each client has a positive experience with our firm and she drives to achieve the best outcome for each of our clients. Through her experience and knowledge, Ms. Muller has substantial competency to help clients in the area of personal injury, immigration, criminal, and family law. Ms. Muller has been involved and assisted the firm’s attorneys with some of the most complicated legal matters. She has proven herself as a valuable contributor in problem solving situations related to complex legal matters and is an important member of the team.